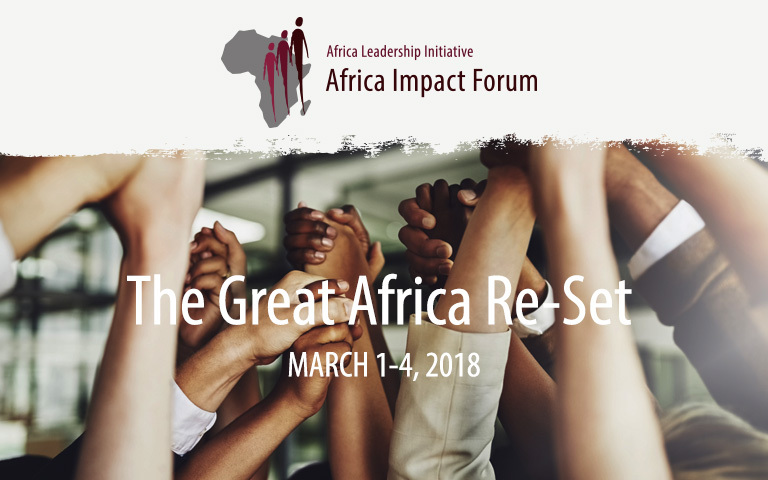 The leadership of the South African, East African, West African and Mozambican chapters of ALI have committed to hosting a joint Africa-wide Fellowship event to be called The ALI Africa Impact Forum. The event will be modelled on the Aspen Action Forum and allow the African Fellows to engage on issues of relevance for the continent. A steering committee has been appointed with representatives from the various Fellowships and Aspen. It was decided at the first event steering committee that we should move the date for the Forum from October 2017 to the 1st to the 4th March 2018. The inaugural event will be held at the Spier Hotel in Stellenbosch, South Africa. The reason for the move of date is to give us time to plan a world-class event and to give all Fellows sufficient notice to attend the event. We will engage with you in due course with more details and intend to co-create the event as much as possible with Fellows. Best wishes from the ALI Africa Impact Forum Team.